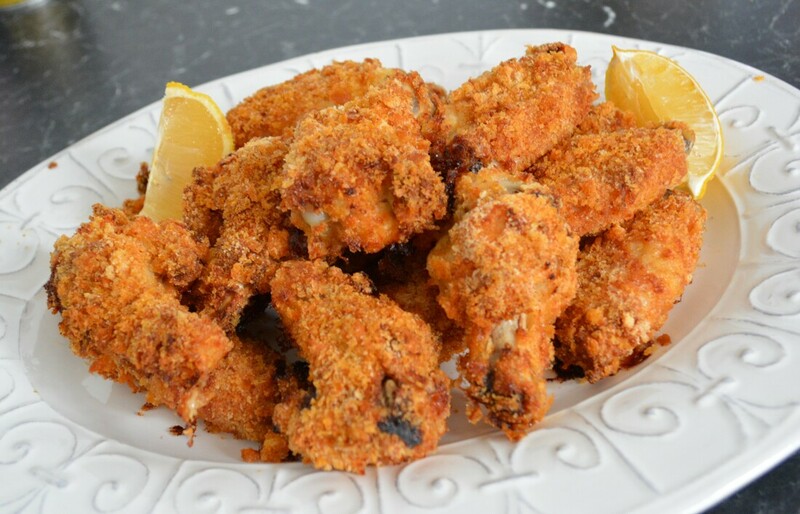 These baked chicken wings are delicious. They are tasty, crunchy and so easy to make. What made me try these, well, over the Christmas period I had loads of bread left over from several parties that I held, and so I don't through food away I decided to make breadcrumbs out of them. And now I have loads of homemade breadcrumbs, so now I need to cook with them, which is not a problem as home made breadcrumbs are absolutely delicious and they taste better than store bought crumbs. Why bake, not fry them. I have no problem with frying chicken schnitzels, it's fast, it's easy. But when you include chicken with bones into the mix, I prefer baking over frying, it is easier to cook and there's no guessing if they are cooked properly. And when you are making a lot of them, baking is easier, quicker and more practical. The spice combination here is delicious, don't forget to season with salt and pepper also, very important. If you don't have home made breadcrumbs, use panko breadcrumbs. If you want to make breadcrumbs here's how Place slices (or soft rolls, roughly chopped) on a baking sheet and dry out slightly in a 150C/130C fan forced oven for 15 minutes. Allow to cool. To make the breadcrumbs in the food processor, place chunks of the dried bread into the processor. Pulse to desired crumb size, approximately the size of grains of rice. For the best results, add the bread chunks in small batches. If you prefer to make them by hand, place dry bread in a sealed bag. Smash with a rolling pin to break into crumbs. You can serve it with fries, a sauce of your choice and a salad of your choice for a complete meal. Next time you feel like a schnitzel, give these a try. Combine breadcrumbs, garlic powder, paprika and parmesan in a large bowl. Season with salt and pepper. ​Place flour in a large bowl. Whisk eggs and milk in a separate bowl. Working 1 at a time, toss chicken nibbles in flour, shaking off excess. Dip in egg, then toss in breadcrumb mixture to coat. Place in a single layer on prepared tray. 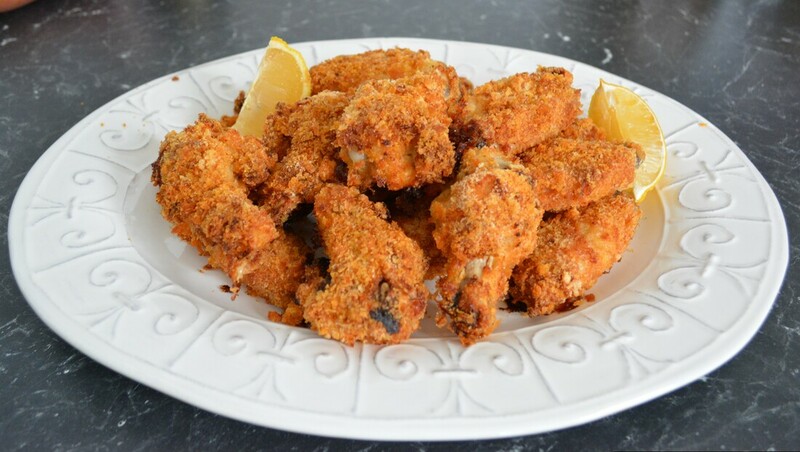 Spray both sides of the crumbed chicken liberally with oil. Bake for 40 minutes or until golden and chicken is cooked through. Serve with fries, your favourite dipping sauce and a salad.